BAGUIO CITY – Regional and city health authorities urged parents to bring their children aged at least nine months old to the nearest health facility to have them vaccinated against measles to prevent them from contracting the illness that might compromise their health condition. DOH-CAR regional director Amelita M. Pangilinan said that among the measures to prevent children from contracting the dreaded illness include the immunization for infants with measles-containing vaccine at 9 months and 12 months old; maintain cough and sneeze etiquette at all times; practice a healthy lifestyle and boost immune system and avoid crowded places to minimize possible infections. She disclosed that the symptoms of measles are fever, rash lasting for more than 3 days, red eyes, cough, running nose and loss of appetite that could be complicated by diarrhea, middle ear infection, pneumonia and encephalitis or the so-called swelling of the brain and blindness. “Measles is a highly contagious disease caused by a virus affecting the whole body. The virus is transmitted through the respiratory route and spreads from person to person by sneezing, coughing and close personal contact,” Pangilinan stressed. 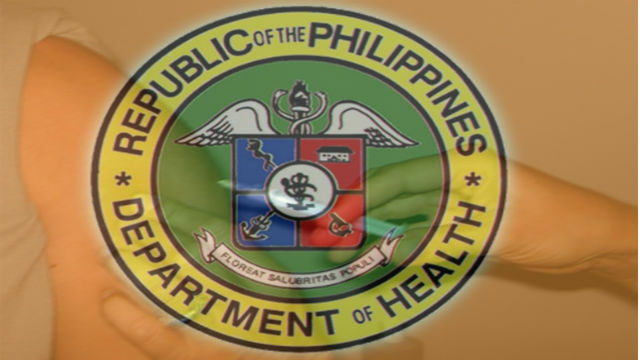 The DOH-CAR official underscored that there is no treatment for measles but paracetamol can be given for fever and supportive care should be given to patients with measles aside from the provision of nutritional support and oral rehydration to increase the body’s resistance and replace lost fluids. Further, she claimed that Vitamin A supplementation should also be given to infants and children for them to be spared from contracting the illness aside from being vaccinated against measles. City Health Officer Rowena Galpo called on parents of children aged 9 months old to bring their children to the health centers nearest their residence for them to avail of the measles vaccination and for them to again have the second dose of the vaccination when their child reaches 12 months of age. She appealed to parents not to be afraid of the measles vaccination because vaccination is one of the measures that will prevent individuals from contracting dreaded illnesses such as measles so as not to compromise their future health condition. Health authorities believe that people are now slowly bestowing their confidence to the government’s mass vaccination programs on measles and other life-threatening illnesses after the controversial Dengvaccia issue that almost ruined the vaccination programs in the past. According to them, parents must make sure that their children will be given the full dosage of the measles vaccination to maximize the potentials of the vaccine that will be infused into the body of people availing of the same to spare them from acquiring the dreaded illness.